What Do The Best Facebook Ads In 2019 Have In Common? there is a new trend that has been working its way through the Facebook advertising world and those who are in the know are getting better conversions than those who don't. 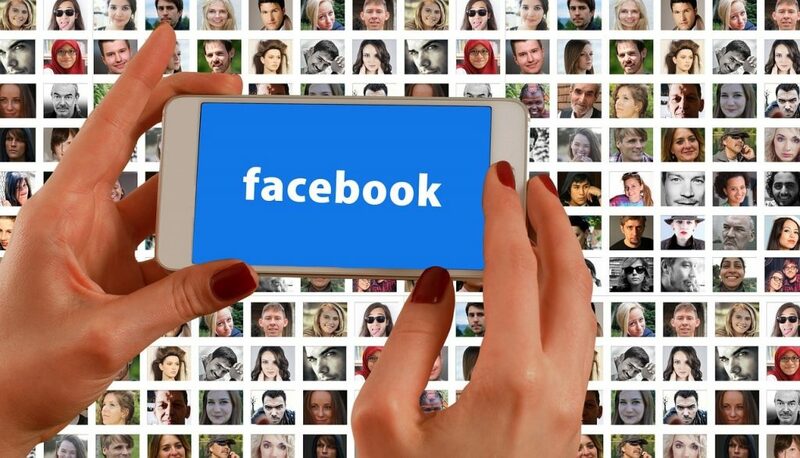 The common ground for all successful Facebook ads in 2019 and beyond is that they have very high relevance scores. The relevance score is Facebook's measurement of how positive of an experience your ad gives your target audience compared to all other ads targeting that same audience. You and I are both targeting male golfers in their 50s. My advertisement is perceived by Facebook to be more relevant and to add more value to this audience segment than yours. What this means is I will get access to better segments of this audience and I will pay less money for reach, clicks and conversions then you will because Facebook thinks my add gives that user a better experience. 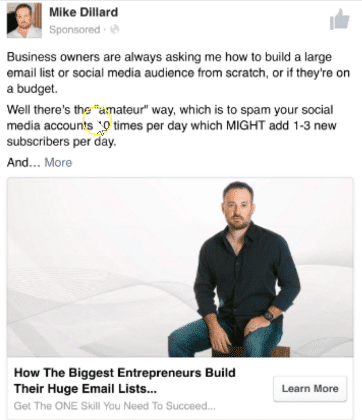 So what does it take to get a high relevance score with your Facebook ads? That is the million-dollar question! ...And the easiest answer is "long copy advertisements"
This is also a good reminder that Facebook is always changing the rules and as an advertiser it is important that you are always focused on learning, studying, testing your Facebook advertising approach. If you can master the art and science of Facebook ads, you can essentially “print money” off your Facebook ad campaigns. Content marketing can take months or years to play out. But using Facebook ads, you can see tangible results within weeks. Also, when you’re making money on your ad campaigns, you can afford to run them over and over, or at higher volumes. All the while, you are getting more email subscribers (aka potential paying customers). Then you can make your REAL money on the backend through email marketing. If you are good at Facebook ads AND funnel building, you can run an entire business solely based on Facebook ads pointing to landing pages. 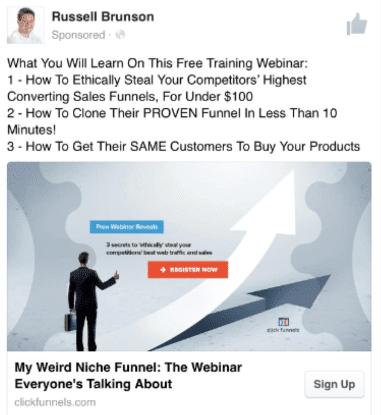 Don’t Guess - Learn From The Best Facebook Ads! 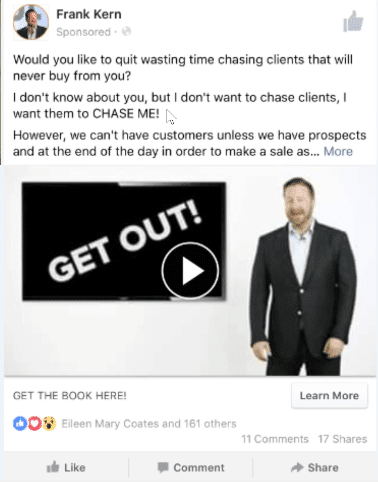 The potential downside of Facebook ads is that you can lose a lot of money pretty quickly if you don’t know what you are doing. So in this post, you’re going to learn how to protect yourself from that risk by modeling tried and true ads that have been tested over and over. 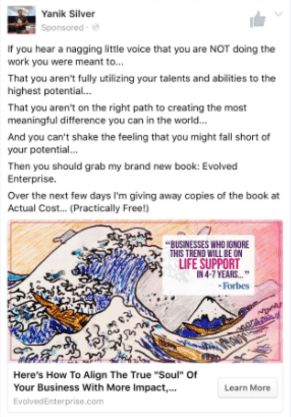 These ads are from people I respect in the direct marketing space who have made a LOT of money online. Basically, these people are the OGs of internet marketing. These types of juggernauts don’t even run their own ad campaigns - they simply hire an extremely specialized and skilled team that runs the ads for them. And you can bet your bottom dollar that these teams are constantly split testing their ads. All of this to say: these ads are GOOD. If you examine these ads and learn from them, your online business will prosper. Frank’s team starts this ad with a question, which is a powerful direct marketing tactic. Questions are so useful in advertising because it’s impossible for our brains to not answer them! If someone asks you a question in a language you understand, even if you don’t verbally respond, your brain will automatically generate a response. That’s just how we are wired. This is important, as one of the keys to direct marketing is getting some kind of response from your audience! 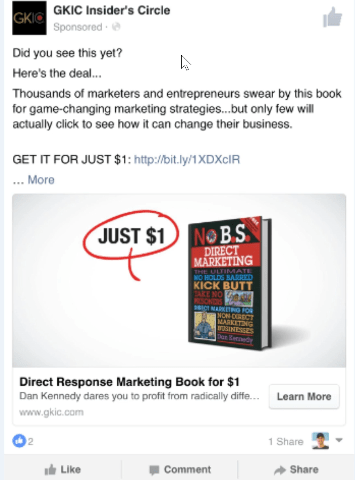 This “question and answer” format is great for Facebook ads. Leading with a problem and then promising a solution is another classic format. Frank’s team uses a cliffhanger to beautiful effect here. The sentence goes, “However, we can’t have customers unless we have prospects and at the end of the day in order to make a sale as…”. This uncertainty often leads to action, such as clicking on the “learn more” button! The phrase “Did you see this yet?” is brilliant. When people are using Facebook, they are scrolling quickly and don’t have time to read long sentences. As you learned in the last ad, questions get responses, and this question is so short and to the point that you can’t avoid reading it! 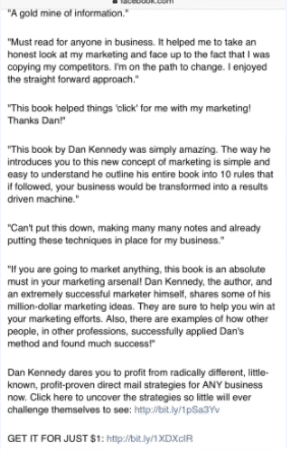 Dan’s team is invoking social proof in a targeted way through the phrase, “thousands of marketers and entrepreneurs swear by this book”. If you are a marketer or an entrepreneur, and if you have a decent level of trust towards Dan Kennedy, you’ll be sold on continuing to give this ad your attention. Great copy makes each sentence so compelling that the reader can’t help but continue to consume your message. Dan’s team shows this long form copy in order to leverage attention to gain more trust. Sometimes people will be intrigued by your idea but they won’t be convinced completely. Maybe they’re a little suspicious, and they don’t trust you completely yet. This long form copy is your chance to win them over! One theme you may have noticed is that the advertisers try to "blend in" with the organic Facebook feed. That’s why you aren’t seeing any flashy “buy here!” photos which would look out of place. People are used to seeing photos of other people on Facebook, and so all of these advertisers either use an image of a person or of a book. If you’re a biz owner interested in online list building, you’ve probably heard of Mike Dillard. That’s why Mike Dillard’s advertising team is using the strength of his name to gain credibility. Appropriately, the first two things you see in this ad are Mike’s name and a very direct callout to business owners. Mike’s team is shameless about their use of a cliffhanger. They literally just have the word “and…” right at the beginning of the line. You can bet that was intentional. Even though people may suspect in the back of their minds that they have to pay something, the word "free" is still compelling. 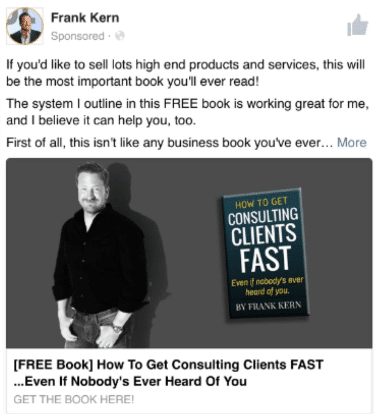 Frank standing in the picture creates trust: he’s just like anyone else in your Facebook feed! And the book creates a sense of credibility. This is an example of a retargeting ad, which you won’t see this unless you’ve visited one of Russell Brunson’s landing pages already. Most people who visit one of your landing pages will leave without opting in. So an ad like this can try to reach those people who had a little bit of interest but weren’t completely convinced. The “3 reasons” format is great for retargeting. You know your prospect is at least somewhat interested, so instead of focusing too much on the offer, you’re outlining the main benefits your reader will experience if they take action. First off, you’ll notice that the image isn’t of a person, a book, or even an animated person. Instead, it’s a relatively famous piece of art. Yanik’s team chose this image in order to stand out, and the image fits in very well with the copy. The copy is directly speaking to the type of people who tend to invest in themselves and create high performing businesses. Notice the phrases: “Do you hear a voice saying you’re not doing the work you are meant to do? That you aren’t hitting your full potential? This copy fits in with the image to appeal to the emotions and identity of the reader. In order to get some credibility, the ad uses a quote from Forbes, which is obviously a very well known and respected source. And again, we see the classic “and…” cliffhanger. If your prospect has already read the first few lines of the copy, it’s very tough for them to resist clicking “learn more”. Humans take action based on feelings, not rationality, which makes the line “you can’t shake the feeling” super powerful. If you want to learn more about this, check out the book “Predictably Irrational” by Dan Ariely. He’s not doing free plus shipping, because that format is so popular in the internet marketing niche. He’s doing “buy at cost, practically free” hoping to get our defenses down a bit, because we all know with the free plus shipping model there’s a upsell on the other side. You have to know your niche and alter your copy and offer accordingly. Finally, when you are ready to start your own ad campaigns, here is a video tutorial on how to advertise on Facebook. If you have any questions about this post, or if you liked it /hated it, let me know in the comments below. Great stuff! I found your trainings on Youtube and am learning a ton!!! Thank you for providing such great content. My question for this blog (Lessons from 6...): Do the above suggestions work the same for Video ads as they do for Image ads? To be perfectly honest, I have never 'figured out' video ads for my niche. Have a friend who runs video ads profitably, tho... He still uses long copy ads (and some short copy ads) with videos, successfully. It can vary so much from one niche/audience to the next that the only honest answer is to test (and sometimes re-test). I just re-tested video ads last week and they all flopped for me... lol. So image ads only for this guy. Great content! Quick question: Most of these examples are individuals, promoting themselves or their products through their personal page. 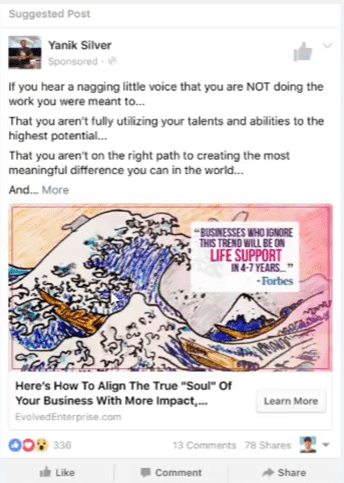 How would this strategy change, if at all, for a business that is pushing ads from their business page? Does the personal voice and long form copy work well still? thanks! It does... And honestly, the reason all these ads are in one niche is because of FB's echo chamber effect... I am a marketer, I like marketing groups and pages, so I get those kinds of ads, lol. And some of the best marketers are in this space. I hope you are in the US or those examples will make no sense! hahaha... But there are examples from every culture! Also, from a technical side of things... Those ads are still being displayed from fan pages, they just match their name on the fanpage like their personal profile. But every ad on FB is always 'from' a fanpage even if it says someonone's name. Great Video. Just watched it and it is heads and tails above other videos I've seen with similar info. Thank you! I’ve read your article, from the following link: https://www.milesbeckler.com/best-facebook-ads/ and you’ve mentioned that the relevance score is what the ads for this year have in common and that in order to get high relevance score you need to use long copy ads and you have also mentioned to use long copy in general to get high relevance score in “Facebook Advertising Keynote Speech. Five Dollar Facebook Ads System Revealed @ RedOrbit ConferenceSo” video, so based on that should I use long copy or story based ad or should I spy on ads within my niche and model what they are doing for this year?, and also, in multiple videos you’ve mentioned that you have to monitor important KPIs, which are cost per customer and cost per lead when the campaign is running, so could you tell me which KPIs would I need to monitor because I have a ad arbitrage type of website and I use metric based on CPM basis.